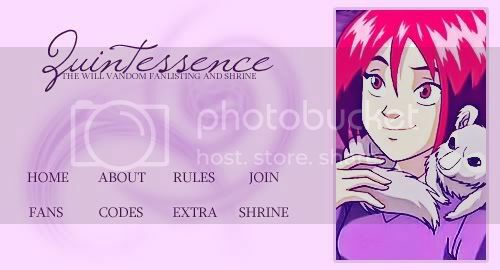 Welcome to "Quintessence," the only TFL approved fanlisting for Will Vandom of the comic and television series, W.I.T.C.H.. If you're a fan of hers, then please consider joining. There is a total of 55 fans so far with 96 pending. Update Details: New member added: Keeperseeker. The shrine was last added to on January 31, 2007.